Peterson V Zizek: Dawn of For-Profit Clickbait Debate! made a video about the latest internet buzz. said something along the lines of "cost some people up to $1000". check out my website at Tumblr.com/infranaut. Some clips from Community's "Debate 109" episode. W's Jammy Jams and "Acid Jazz" by Kevin Macleod. So, Jordan Peterson and Slavoj Zizek have decided to have a debate. Can't say I'm surprised both of them are as aggressive self promoters as Niall Ferguson. This caught the parts of the internet I like to frequent by storm, and many are eagerly awaiting the massive defeat of the arch enemy. I can't see the future but I suspect they'll either be disappointed or think they've gotten just what they've wanted and ignore that the other side of the audience will be thinking much the same. The video I've linked above has demonstrated a lot of the problems with debates, and how they function. I largely agree with the above, but also have some experience that seems relevant to the topic at hand so thought I'd share. I used to canvass debates at university and in my community, it was very depressing. The audience was always dominated by supporters of the two sides, with the remainder being made up of the curious. Unless one debater was very poor, and I don't mean his argument was weak I mean poor in style, there was very little change in the audience. Largely it seemed to be an exercise in group validation, partisans attended to hear one of their idols speak and they always regarded their side as having "won" the debate. But what surprised me was that there didn't seem to be much movement amongst the undecided group either. If there were some people changing their minds and favouring one speaker over the other the reason given was usually personal, like their charisma or ability to make the complex seem simple. I can't recall a single person saying something like "I was on the fence until the pros mentioned ____ and I realised their argument made a lot of sense" or " I don't think the Cons side had a very good grasp of the figures, and their conclusions seemed very optimistic". There's also a very interesting case study of how little impact debates have on changing opinions, BBC Question Time is a very old weekly show that's a debate between politicians and social commentator types, novelists, journalists, comedians etc. I know many of the local politicals in my area, including current and former council and parliament candidates. They all watch it weekly, and scrabble to get tickets to sit in the audience when it comes to our area, and I can't think of a single person whose political views have shifted as a result of the program. They just watch it to agree with their side making points and sneer at the opposition making theirs. The only real change I've noticed is that some of them over the years have gotten sick of the program too. Infamously in an attempt to boost ratings the show hosted Nick Griffin the then leader of the far right British National Party (BNP). The whole program was essentially just everyone on else on the panel taking pot shots at him and ridiculing and challenging his horrible views. The liberal types like to congratulate themselves on a thorough debunking and humiliation for the would be Fuhrer, but this is just hot air. The elections that took place after that Question Time episode the BNP enjoyed their best election results. In terms of vote share they came in fifth place out of the parties that stood throughout the UK. So, I'll probably be ignoring this one assuming they do make it viewable online for free anyway. I'm sure many people will make supercuts of the best bits if I get curious. Good public debates work. It is not the only effective tactic, but Question Time was humiliating for the BNP. 2010 general election was the fourth lowest turnout recorded. 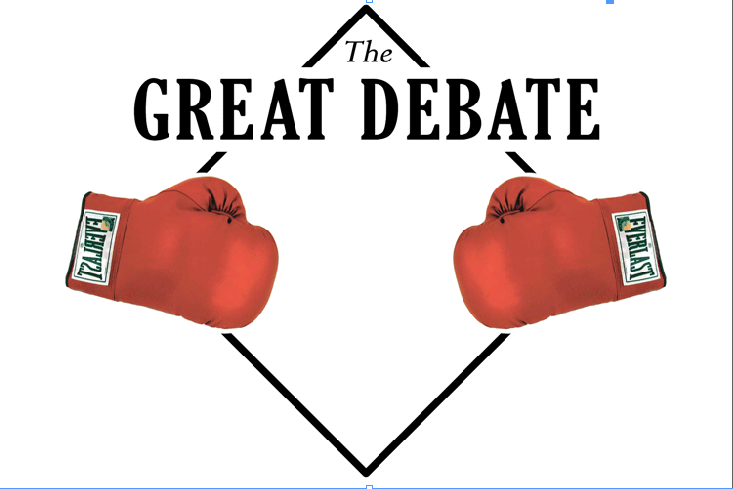 The problem with debates is that they are generally for debaters. People who don't really have much at stake if they win or lose. It's a game so they just try to score as many points as possible and argue about it if they lose. I haven't been to many public debates, but in my experience people tend to go because they have already made up there mind. The nearest to changing someone's mind is encouraging someone to act when they were supporting but not sure if they wanted to do more. Similarly Pierre Brou” explains that “the communists systematically sought discussion and public debate with the Nazis, especially amongst students, who formed one of their bastions”.8 Further, there were also open exchanges in print between the communists Karl Radek and Paul Froehlich, on the one hand, and Count Ernst Reventlow and Arthur Moeller van den Bruck, on the other. The KPD was so serious about undermining the tenuous arguments put forward by the far right and the Nazis that it published a pamphlet which its members did their utmost to sell, including in particular to members of the Nazi party. In their debates with the far right KPD speakers were able to put across their ideas to great effect. On August 2 1923, KPD leader Hermann Remmele spoke at a Nazi meeting in Stuttgart, and on August 10 a Nazi speaker spoke at a KPD meeting. Remmele made it clear: “They told you that communism would take everything from you. But it is capitalism that has taken everything from you!” As both Brou” and Harman acknowledge in their accounts, these meetings proved too much for the Nazis, who discontinued them after August 1923, believing them to be a cause of lost members and waning influence. It was also the BNP's highest vote share in its history mate they more than doubled their share over the previous election and that was with increased competition on the far right/patriotic/populist camp. Turnout is irrelevant in this case they still had more people casting votes for BNP candidates than ever before. A key part of KPD outreach towards members of NSDAP and other right wing groups was what Radek called the promotion of National Bolshevism and an alliance between German patriots and the Soviet Union against the Entente capitalists, that project was also being pushed in 1923. So I'd be very careful in endorsing KPD outreach during this period.